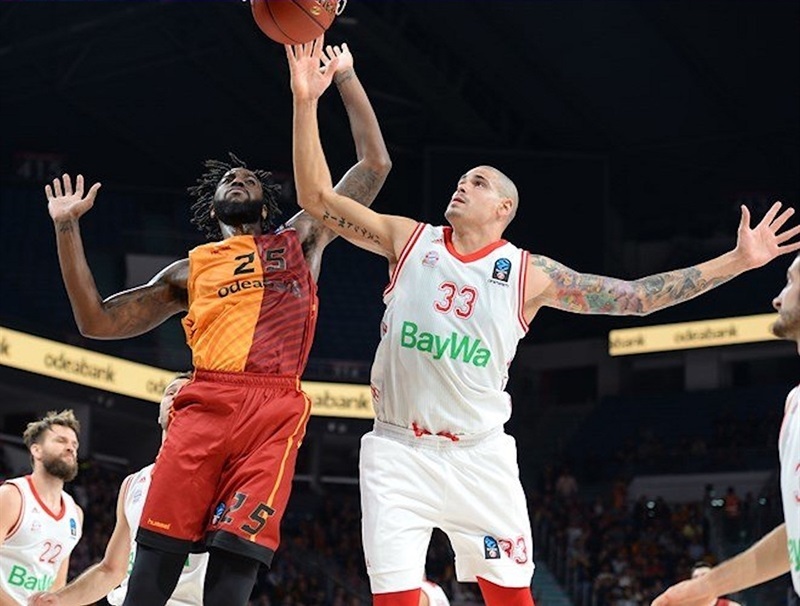 A Round 1 showdown of Group B powerhouses turned out to be all about the visitors as FC Bayern Munich smothered host Galatasaray Odeabank Istanbul 69-86 on Wednesday. 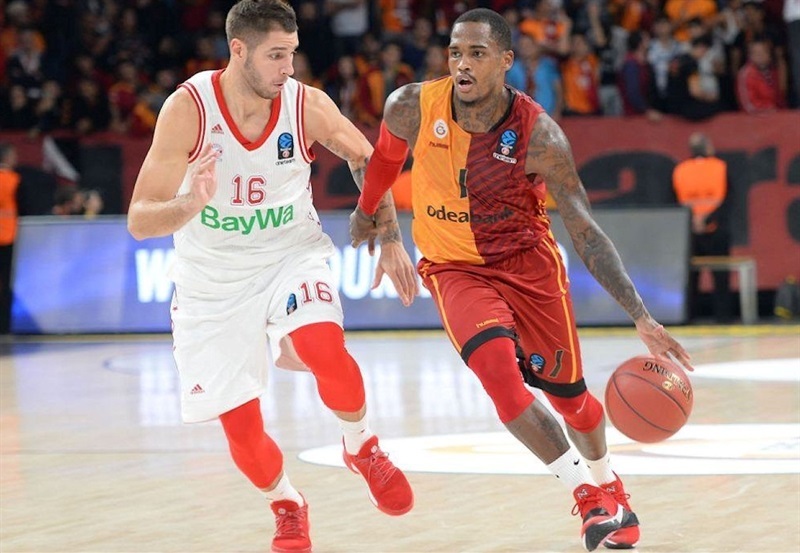 Defense was the name of Bayern's game as it held Galatasaray just 38 points through the first 25 minutes. Teamwork succeeded at the other end as Bayern dished 31 assists, setting a club record in the competition and tying the fourth-highest total ever in 7DAYS EuroCup play. Stefan Jovic had 11 of those assists, while Milan Macvan and Reggie Redding had 5 each. That helped four Bayern scorers reach double digits: Vladimir Lucic with 16 points, Braydon Hobbs with 14, Macvan with 12 and Devin Booker with 10. 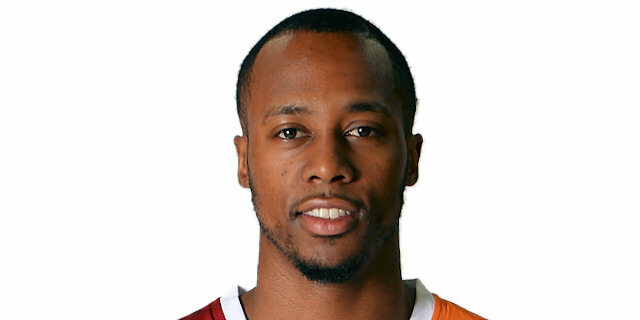 Galatasaray suffered from 20 turnovers as compared to 14 assists, putting just two scorers in double digits: Scotty Hopson with 19 points and Dwight Hardy with 17. It was a basket-for-basket battle with five ties until 14-14. Lucic's corner triple gave Bayern an edge, and then a steal by Jovic and layup by Hobbs sent the visitors ahead to lead 17-23 after 10 minutes. Bayern continued its run to start the second quarter, too, with Maik Zirbes tallying a dunk and a layup in transition, before a corner three-pointer by Jared Cunningham and a floater by Redding capped a 2-11 run that opened 21-34 margin. 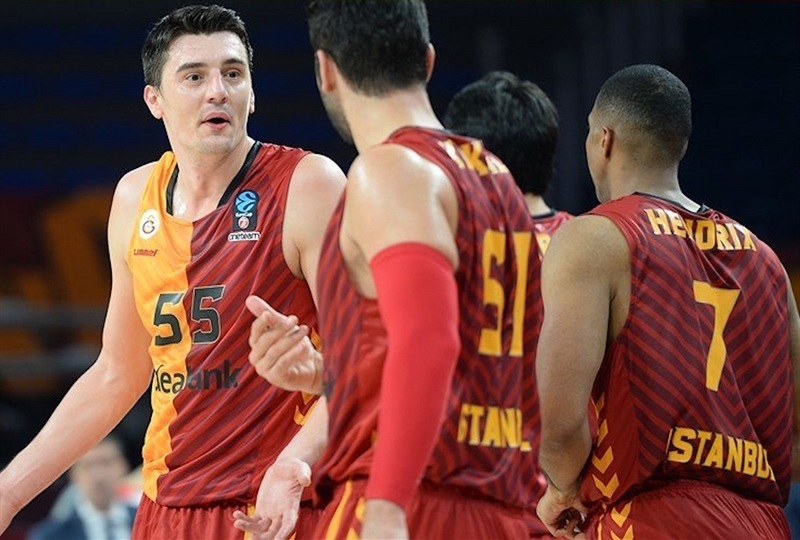 The hosts had Goksenin Koksal hit from the outside and big man Richard Hendrix inside, but a three-point play by Anton Gavel and an alley-oop from Jovic to Lucic helped Bayern open a commanding margin and lead 34-50 at halftime. Bayern kept up its strong defense after the break by forcing a lot of rushed and long shots on Galatasaray. As such, Bayern's own scoring didn't have to be spectacular, but the visitors had enough with a nifty pass from Devin Booker to Lucic for a three-point play to take their biggest lead yet at 40-62. 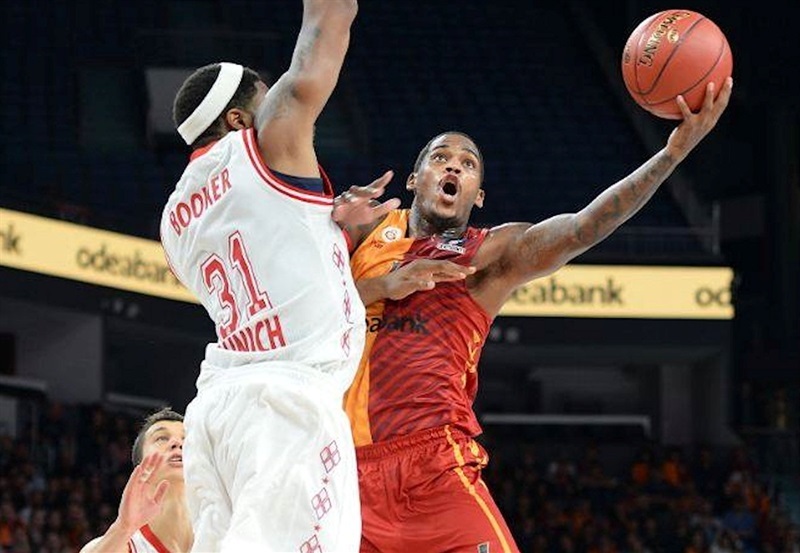 Hopson responded with 5 points in an 11-3 run that put the Galatasaray crowd back fully into the game before Bayern finished the third quarter ahead 52-66. Hobbs buried back-to-back triples early in the fourth quarter, however, to steady Bayern before a Jovic steal and Macvan reverse put the visitors back in safe sailing at 56-74. Lucic drilled a corner triple at 62-79 and Bayern was well on its way to a good-as-gold road win to open the season. 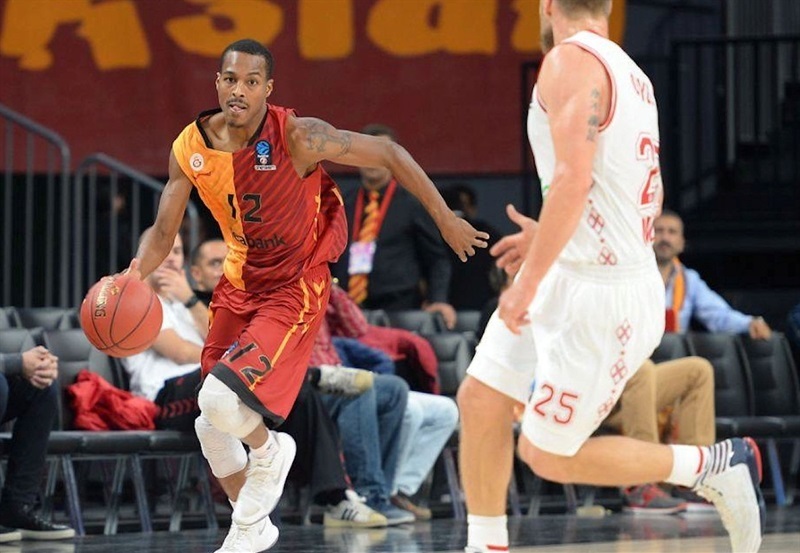 Bayern hosts Lietkabelis Panevezys of Lithuania in its home opener next week, while Galatasaray hits the road to face Grissin Bon Reggio Emilia in Italy in Round 2. 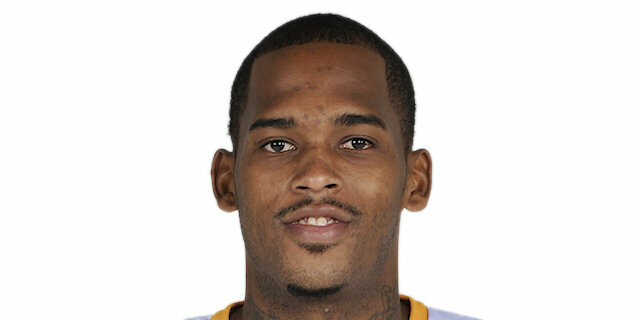 "We should have come out in the first half with the same momentum we did in the second half. We got down a lot, and against a team like that, it's just hard to come." "As a team we got to be better. They came out and were really aggressive in playing their game. But we just got to be better as a team. We are going to go back to practicing, and do what we got to do to play hard and compete in the next game."